When the March 2017 issue of The Society of Vertebrate Paleontology Memoir shared the news of discovering the largest dinosaur footprint ever, on the Kimberley shoreline in a distant section of Western Australia, the scientific community rode a wave of euphoria over dinosaurs. Such type of elation is certainly shared by any avid admirer of the prehistoric creatures each time a major find occurs. It was no different in the case of the world’s best-preserved dinosaur fossil ever found, regarding its size and condition. This find concerned a nodosaur discovered by miners in Canada in 2011. It took experts a few years of meticulous preservation to process the nodosaur specimen, after which it was displayed at the Royal Tyrrell Museum in Alberta, Canada. Then good moods sparkled, even more, when the June 2017 issue of National Geographic came out, featuring the nodosaur on its front page. However, the story was slightly different in the case of the Bolivia’s Cal Orcko Parque Cretácico. 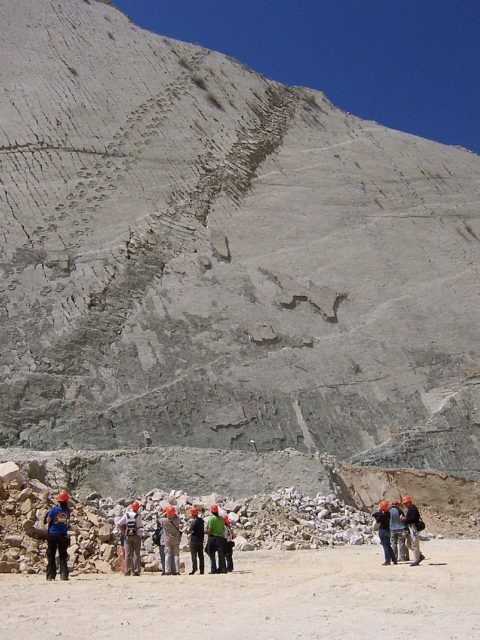 When mine workers at the Bolivian site first noticed dinosaur footprints as early as 1985, nobody acknowledged the fact that this place might be a real paleontological breakthrough. 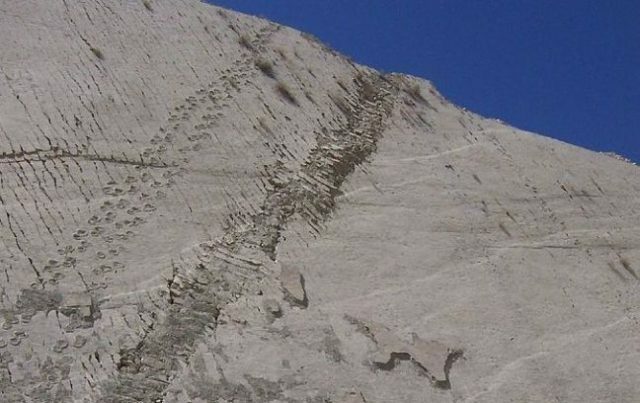 It just happened that Cal Orcko, indeed, was the world’s number one location, where some of the most diverse dinosaur footprints from the Cretaceous era can be seen. Cal Orcko sits just a few miles west of the Bolivian city of Sucre, a site that, for many years before the trails were found, exclusively served as mining property of the FANCESA cement company. It was already 1994 when the regular mining activities revealed what would be a massive limestone wall overwhelmed with many different types of trails. Proper investigations of the site by experts did not take place until 1998, and the time gap of four years was just enough to show that the tracks are also prone to eroding and getting damaged quickly if not suitably protected. That same year, mining activities near the limestone wall were stopped and the site remained closed for the next eight years. Apparently, Cal Orcko resembled a wildlife zoo of dinosaurs from as early as 68 million years ago, when dinosaur fauna thrived here. 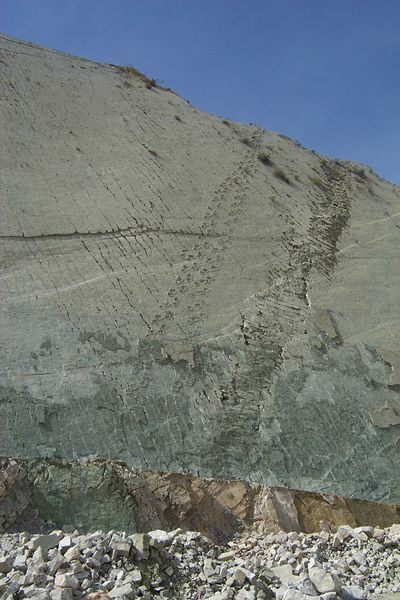 The sediment rock wall, which measures around 3,960 feet in length and 262 feet in height, incorporates some 5,055 footprints in total, out of which 462 tracks are attributed to 15 distinct types of dinosaurs. The various imprints left on the wall by the prehistoric creatures were most likely fixed in clay shorelines throughout dry periods of time. 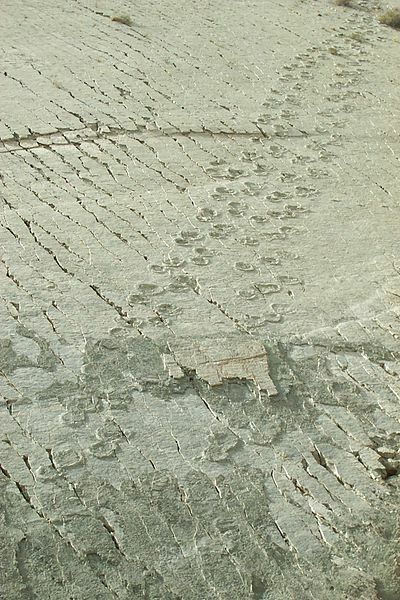 Then they had been covered with more sediments, which themselves saved more dinosaur traces, hence the multiple layers of dinosaur footprints that can be observed at the cliffside at Cal Orcko. Perhaps the most impressive trail of all is the one belonging to a baby T-Rex, as long as 1,138 feet and famously called “Johnny Walker.” Some of the traces belong to dinosaur species as diverse as the Carnosaur, noted for its frightening jaw and teeth, as well as those of herbivores of the likes of heavyweight armadillos such as the Ankylosaurus. 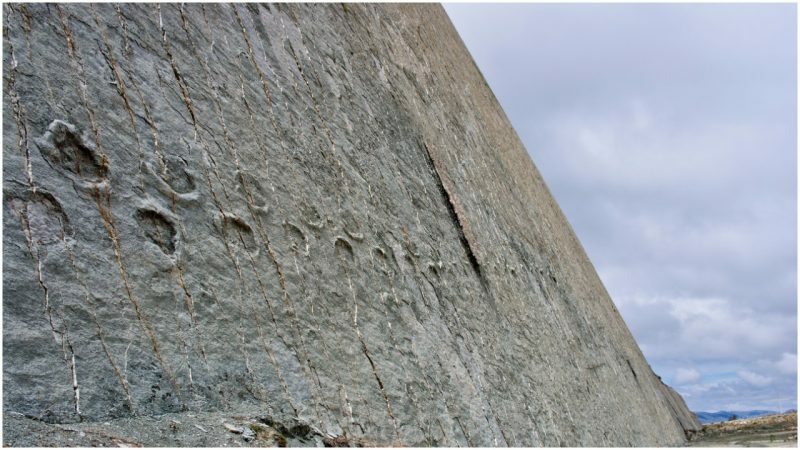 Visitors coming to the Sucre dinosaur park, which opened in 2006, might have been disappointed at not being able to observe the numerous footprints on the wall from a closer viewpoint, since the nearest point was a viewing platform 500 feet away from the wall. Recently, one more path was unveiled at the park that allows a closer look at some of the trails. Another great attraction inside the dinosaur park is one of the world’s biggest dinosaur sculptures, a 117 feet by 59 feet replica of Titanosaurus. What might be little shocking is that mining activities are ongoing right next to the park where the fragile landscape is deemed a sacred place for paleontology. The miners are still there and have at their disposal a full specter of heavy industrial machinery to extract more resources. In 2010, a portion of the massive wall broke off and diminished some of the traces, though the good news was that it revealed one more layer that lurked underneath. Many years passed since Cal Orcko was first noted for its world significance, but it is still underway to becoming a UNESCO world heritage site. An earlier effort in 2009 was opposed by FANCESA, after which the proposal was abandoned, luckily only for a brief period of time. A majority of people agree that gaining a UNESCO protected status will help this unique site in Bolivia properly preserve its precious dinosaur trails. If preservation efforts are not taken seriously, it might be that Cal Orcko faces danger of total demise in a matter of only a few years.